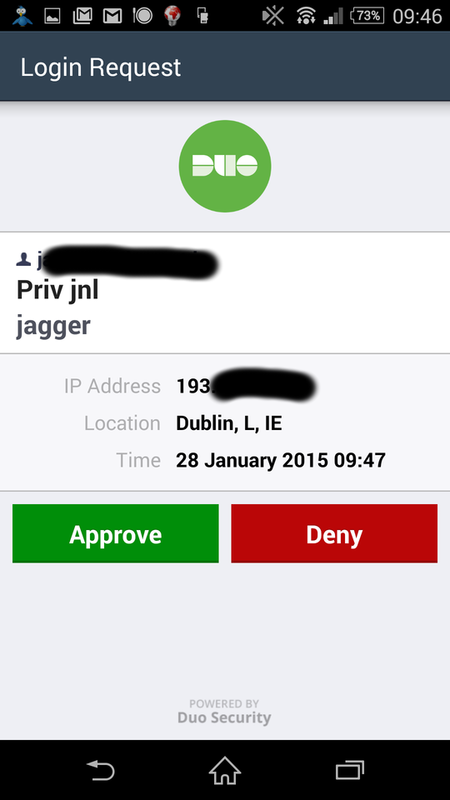 JAGGER supports both local authentication and federated access. Right now shibboleth-sp is supported. There will be support for simpleSAMLphp too. Obviusly you need to have shibboleth-sp configured. Next thing is to protect specific URI in apache with shibboleth. Here is example part from apache config. 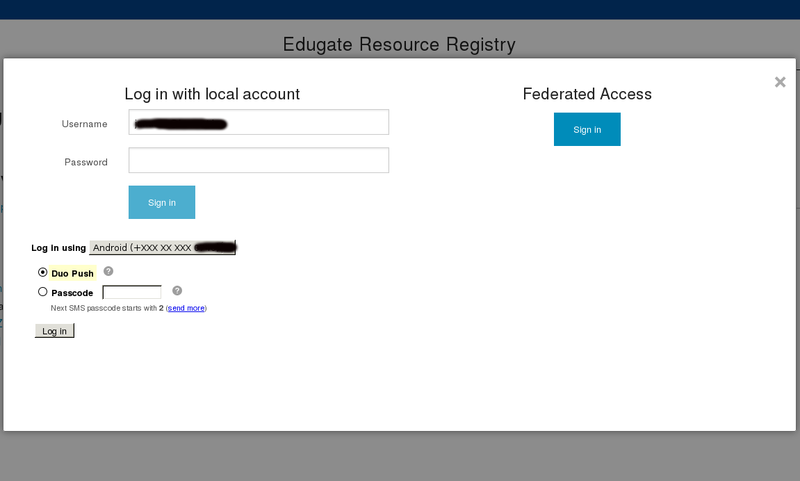 Now you should be able to see both local authentication part and federated access. You can decide what kind of access (local authn or/and federated access) can be used by user. If you create user and set only federated access then even there is password set during creation user can’t login using local authentication. have proper integration setup on https://www.duosecurity.com/ and created the list of users/devices. Remember, during 2F process the username is the same as in jagger. That’s all about jagger global configuration. Enduser can now go to his profile, find section “Two factor authentication” and enable availabe 2F engine.